Please Give Us a 5-Star Review! Home » Please Give Us a 5-Star Review! Since our inception in 1983, our business has been built on trust through referrals and reviews. What you say about our business is far more important to our company than what we say about ourselves. Therefore, we sure would appreciate you taking a couple of minutes to give us 5 Star Google and Facebook reviews. Please note: If for any reason you don’t feel comfortable giving us a 5 Star Review, please do not write a review and instead call us right away at 810-225-2184. We sure would like to hear from you so that we can try to make things right! Please click the following link. Please note: you will have to be logged into Google first. 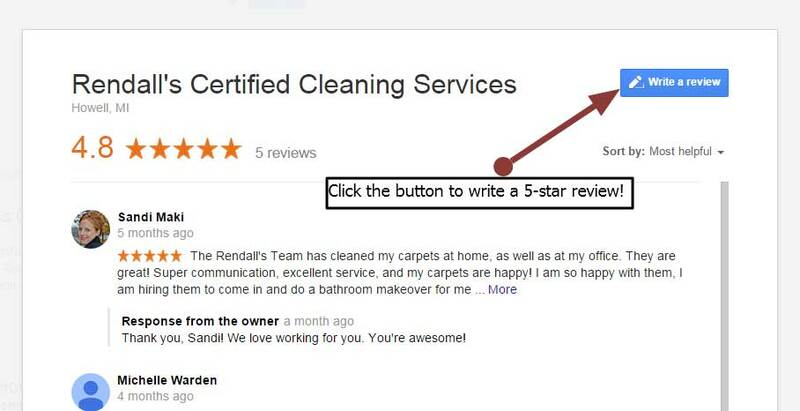 Simply click the Write a Review button, click the 5 Stars, and say a few things about us that impressed you. Some suggestions: our thoroughness, our promptness, our courteousness, professionalism, integrity, knowledge, or whatever is important to you. If you have a Facebook account, please simply click the following link. Please note: you will have to log into Facebook if you’re not already logged in. 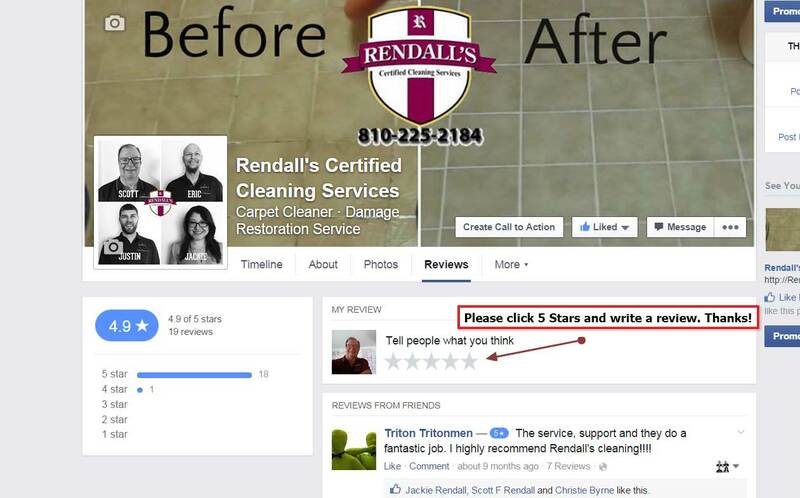 Next, simply click the 5 Stars button and say a few things about us that impressed you. Our reviews are super important to us and we really appreciate you taking a few minutes to help us by leaving 5 Star reviews!